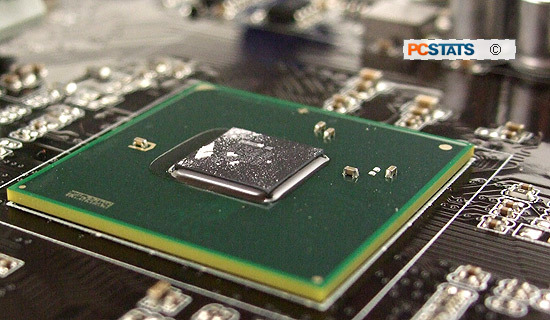 Abstract: ASUS' P7P55D Deluxe motherboard is an Intel P55 Express platform that represents the flagship feature set available to the Core i5 processor, along with a healthy dose of overclocking tools and features. ASUS' P7P55D Deluxe motherboard is an Intel P55 Express platform that represents the flagship feature set available to the Core i5 processor, along with a healthy dose of overclocking tools and features. In addition to the obvious support for Intel Lynnfield socket 1156 processors, the ASUS P7P55D Deluxe motherboard features three PCI Express 2.0 x16 videocard slots for multi-graphic card set ups. It's not quite triple x16 mode however, rather one VGA at x16 or two at x8/x8, and an additional PCI Express 2.0 x16 slot that's really just a PCI Express x4 in disguise. 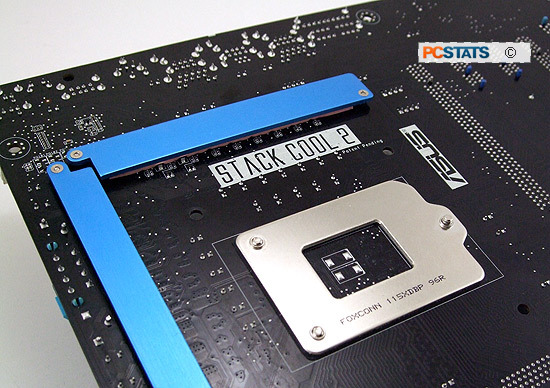 Further expansion comes via a pair of PCI Express x1 and PCI slots. The ASUS P7P55D Deluxe supports ATI Quad-GPU CrossfireX and nVidia Quad-GPU SLI. There are four dual channel DDR3-1333/1066 memory slots which can accommodate up to 16GB of DDR3-1066/1333/1600/2100 RAM. Memory can be overclocked to run at DDR3-2133/1600 speeds with compatible modules. In terms of data storage the ASUS P7P55D Deluxe motherboard is well equipped - there are nine 3.0Gb/s SATA connectors! Pair that up with RAID 0,1,5,10 options on at least six of those and its clear the ASUS P7P55D Deluxe is built for seriously large hard drive arrays. Rounding out the features on the P7P55D Deluxe board are fourteen USB2.0 ports, two Firewire and a pair of Gigabit network jacks. High Definition 10-channel audio comes standard. With Intel's Core i5 and Core i7-800 series processors now handling most of the roles that would have traditionally been the job of the Northbridge, there's no longer any need for separate Northbridge/Southbridge controllers. Intel has merged the two-chip solution into a single entity named the Platform Controller Hub (PCH), which controls the legacy PCI slots, storage, networking and USB. As mentioned above P7P55D Deluxe has a pair of PCI Express x16 slots, which are complemented by a pair of PCI Express x1 slots, a pair of legacy PCI slots, and a third PCI Express x16 slot with x4 lanes of bandwidth. Storage on the ASUS P7P55D Deluxe is handled by the Intel PCH, which provides six SATA II 3Gb/s ports that can be configured in RAID 0, 1, 0 + 1 and 5 modes. ASUS supplements this with a JMicron JMB363 controller that adds a legacy PATA adapter that can handle up to two IDE devices, as well as another SATA II 3Gb/s port. Intel P55 Express - replaces the P45 Express and Intel ICH10 pairing. A final JMicron JMB322 controller can be used In ASUS' DriveXpert mode, which allows two more SATA II 3Gb/s ports to be easily set up in RAID 0 or RAID 1 mode. The P7P55D Deluxe has 8 USB 2.0 ports ready on the I/O panel, dual gigabit RJ-45 ports, IEE1394a Firewire connections, PS/2 keyboard and mouse ports, as well as coaxial and optical S/PDIF connectors, and multi-channel output via six stereo jacks. Along with the ASUS P7P55D Deluxe you'll find a collection of ASUS only tools and overclocking utilities under the Xtreme Design moniker which include: ASUS TurboV Evo, Turbo Key, the Turbo V remote, a 16+3 phase motherboard power supply called Xtreme phase, T.Probe technology, Drive Expert, MemOK!, EPU version 6 power saving features, Express Gate instant on mini-operating system, Stack Cool board cooling tech., Fan Xpert, Q-shield, Q-connector, Q-Design (memory, slots an LEDs) OC Profile, CrashFree Bios 3, EZ flash 2, Precision Tweaker 2 software overclocking tools (voltage controls primarily), Stepless Frequency Selection, and CPU Parameter Recall overclocking protection. ASUS has thrown in a neat gadget called the TurboV remote, which is essentially an external overclocking switch that connects to the motherboard. This remote can be used to adjust processor speed dynamically while running applications in Windows without exiting the application to launch the software OC tools. ASUS TurboV overclocking remote functions. Like any motherboard worth its salt the ASUS P7P55D Deluxe uses all solid-state polymer aluminum capacitors and incorporates various power saving features to increase its efficiency and improve electrical stability when overclocked. Heatsinks are suitably placed on the 16+3 phase motherboard power supply and a thicker copper trace layer is used in the actual motherboard PCB to help spread the heat around. This decreases the overall temperature levels of board mounted MOSFETs and other ICs improving component longevity so we're told.